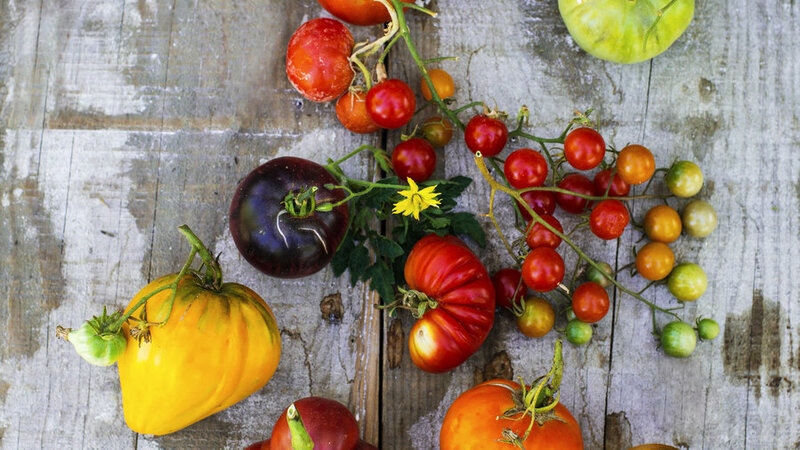 Fresh raw tomatoes add bright, juicy sweetness to cold dishes. Cooked tomatoes have a deeper, richer flavor that enlivens everything from sandwiches to sauces and soups. 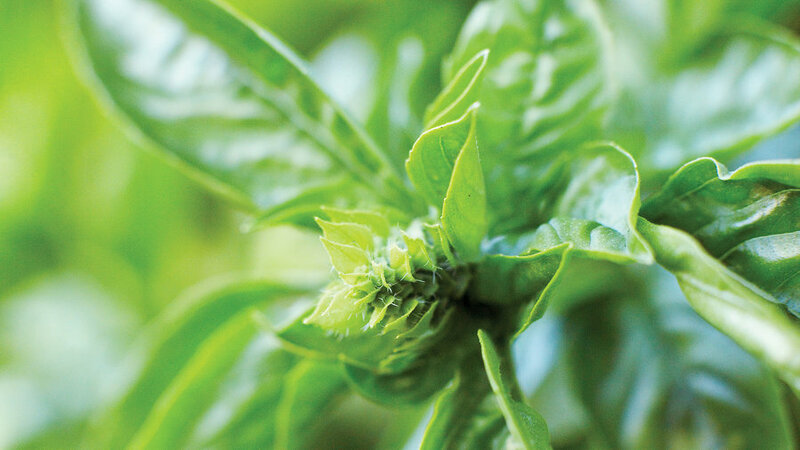 Basil has a bright, complex, and slightly anise flavor that enhances a wide array of summer fruits and vegetables. Try it with squash, tomatoes, peppers, eggplant, melons, berries, and stone fruits. Quick idea No. 1: Sprinkle chopped basil on slices of vine-ripened tomatoes. Serve with goat cheese and cured olives. Quick idea No. 2: Toss cooked pasta with garlicky olive oil. While still hot, sprinkle liberally with chopped basil and grated parmesan cheese. 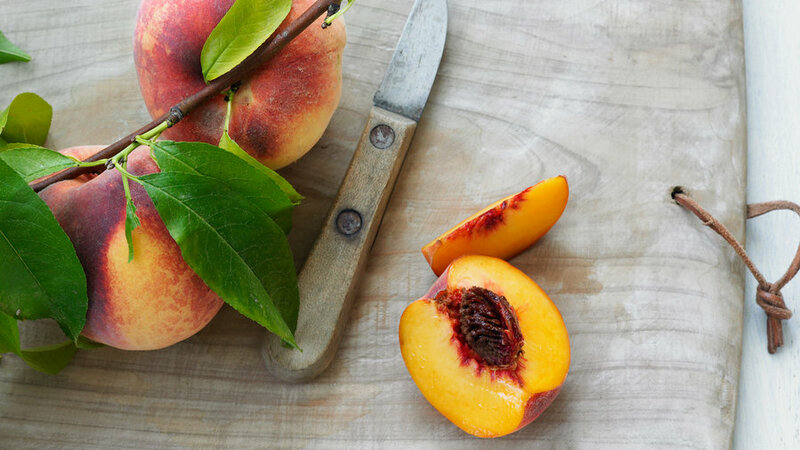 Tree-ripened peaches and nectarines are among the best things about summer. White peaches and nectarines are sweet, light, and fresh-tasting; yellow versions have a richer, warmer flavor. Quick idea No. 1: Blend a peach or nectarine with vanilla yogurt, ½ cup frozen banana pieces, a few mint leaves, and honey to taste. Quick idea No. 2: Halve peaches, sprinkle with sugar, and roast face up until lightly brown. Serve with ice cream, panna cotta, or whipped cream. Crisp, tender summer squash have a slightly sweet flavor that pairs well with rich and substantial ingredients, such as olive oil, garlic, and cheeses. Quick idea No. 1: Sauté diced squash with garlic, olive oil, and herbs. Use to top toasted baguette slices spread with goat cheese. Sprinkle with dill, mint, or basil. Quick idea No. 2: Roast long thin slices of squash with garlic and olive oil until very soft. Layer in a pan with goat cheese, pesto, and finely chopped sun-dried tomatoes. Serve with multigrain crackers. 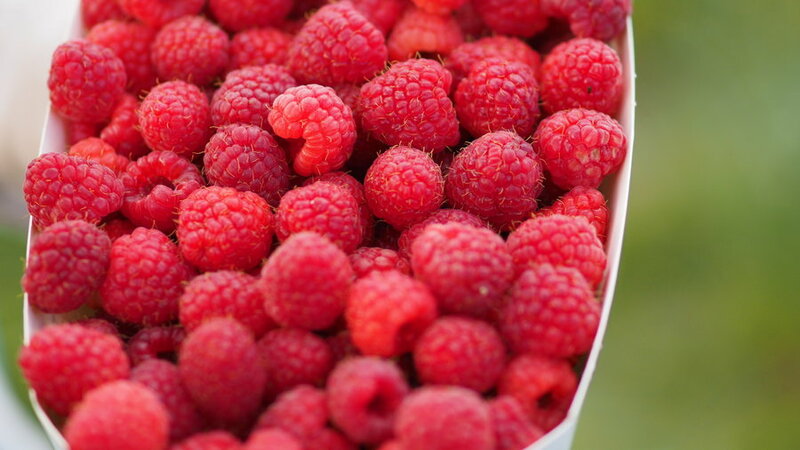 Tart, tender, and slightly juicy, raspberries are delicious alongside creamy textures and sweet flavors. Quick idea No. 1: Toast slices of baguette and spread generously with mascarpone cheese. Top with raspberries, sprinkle with powdered sugar, and drizzle with honey. Quick idea No. 2: Layer Greek yogurt and raspberries with honey and pistachios, pecans, or walnuts. 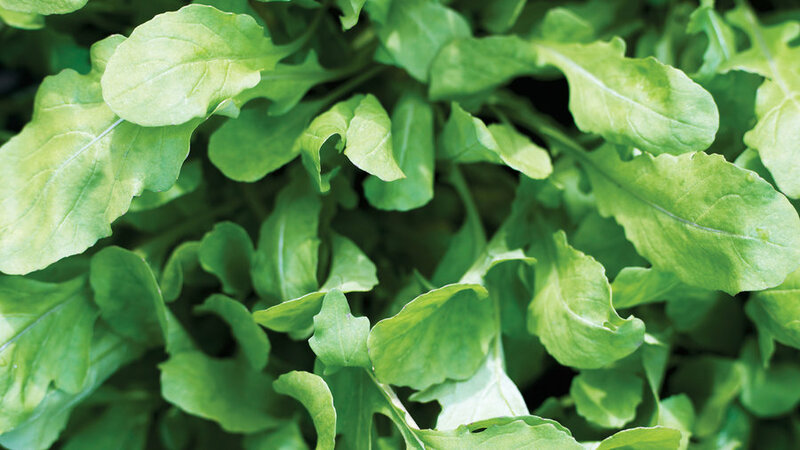 Arugula is an assertive green with a peppery bite and great versatility: it complements sweet and rich ingredients, such as figs or roasted onions, while holding its own alongside stronger flavors, such as olives and lemon juice. Quick idea No. 1: Use in sandwiches instead of lettuce. Great with chicken, turkey, or steak, hearty cheeses, and spreads such as mango chutney or cranberry relish. Quick idea No 2: Toss with sliced stone fruit, pecans, and a dressing of lemon juice, honey, and olive oil. Sprinkle crumbled feta or blue cheese on top. 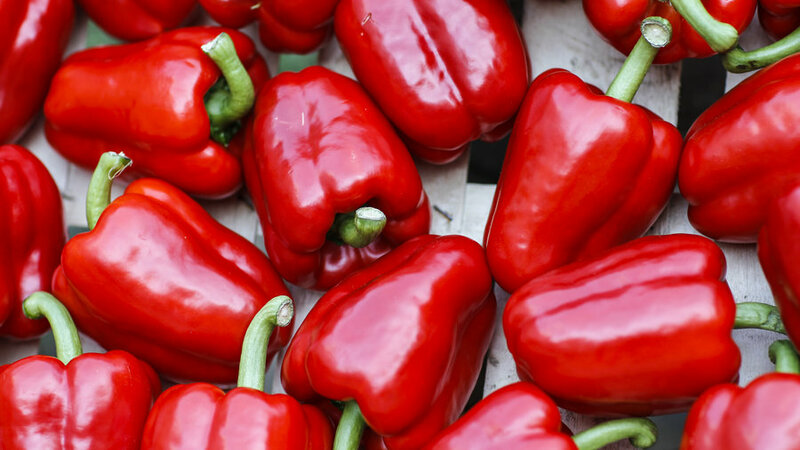 Bell peppers are sweet and brightly flavored, with a refreshingly crisp texture when raw and a lusciously soft texture when cooked. Quick idea No. 1: Sauté minced garlic and diced onion in olive oil. Add chopped bell peppers, tomatoes, and basil. Cook on low heat until the mixture is thickened and reduced by half. Serve over tofu, chicken, omelets, or toast. Quick idea No. 2: Cut tops off peppers and seed them. Stuff with cooked bulgur, crumbled tofu, sautéed garlic and onion, olive oil, parsley, tomato, and mint. Bake until peppers are softened. 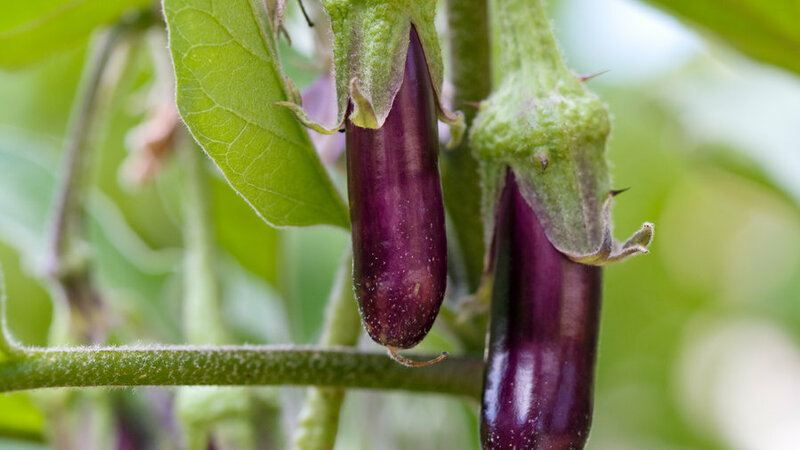 Eggplants have a meaty texture and an absorbent flesh that soaks up the flavors in which it is cooked, while still retaining its sweet, earthy flavor. Quick idea No. 1: Roast whole eggplant until soft. Scoop flesh into bowl and season with olive oil, ground pepper, crushed garlic, and herbs. Serve with crackers and Greek yogurt seasoned with dill. Quick idea No. 2: Brush slices of eggplant with olive oil and grill until tender. Season with chopped basil or parsley. Fill a sandwich with grilled eggplant, onion, tomato, and garlic mayonnaise. Balancing vibrant summer sweetness with a citrusy tang, strawberries infuse any dish with sunny flavor. Quick idea No. 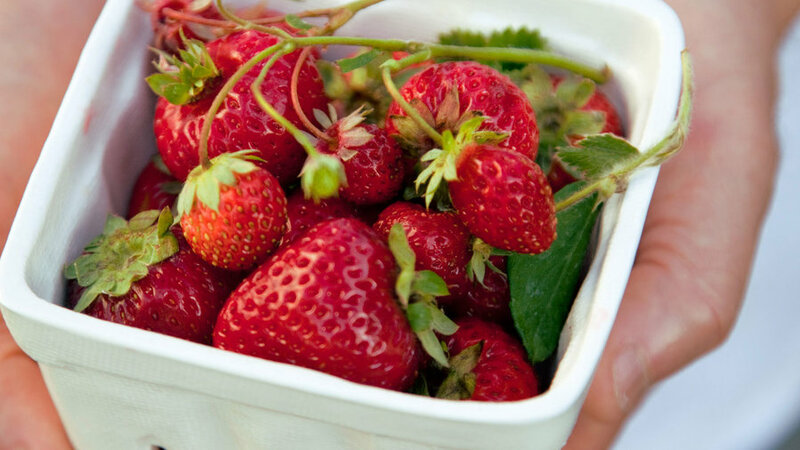 1: Purée 2 to 3 cups strawberries with about ½ cup superfine sugar and ½ cup fresh lemon or lime juice. Stir in seltzer water and additional sugar to taste. Quick idea No. 2: Make your favorite crêpe recipe and fill with sour cream, sliced strawberries, and powdered sugar. 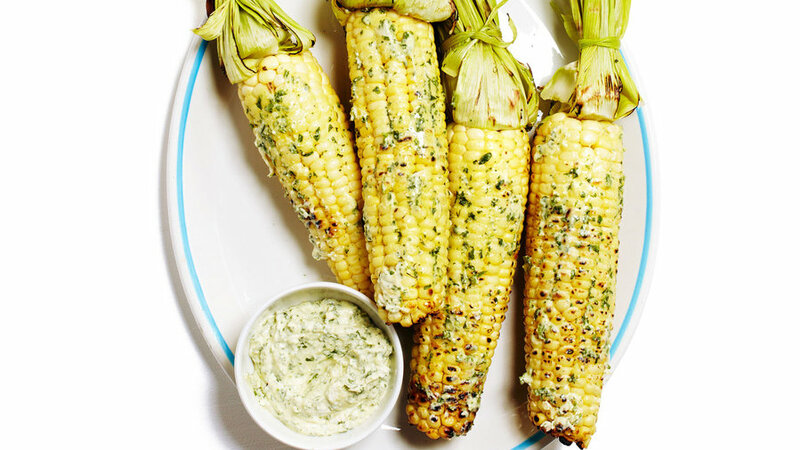 Corn is one of the tastiest and most versatile of summer crops. 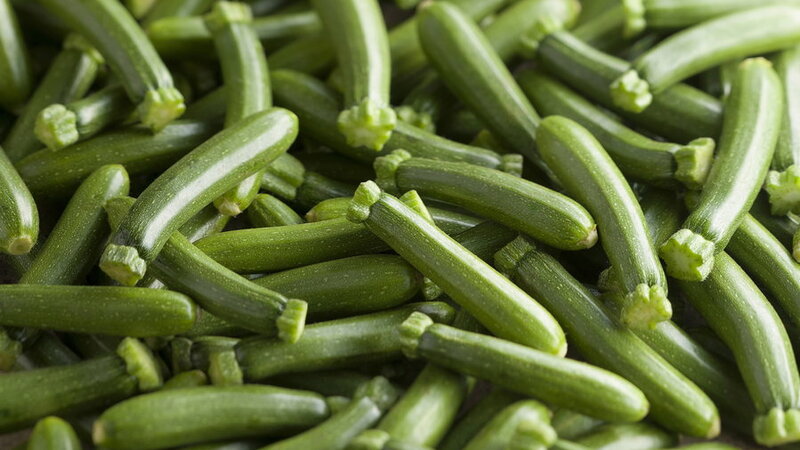 Toss it into almost any dish to add a refreshingly crisp texture and creamy-sweet flavor. Quick idea No. 1: Toss cooked corn kernels with diced tomatoes, chopped basil, olive oil, ground black pepper, and white or regular balsamic vinegar. Quick idea No. 2: Add 1 teaspoon of chili powder and 1 teaspoon lime zest to 4 tablespoons butter. Spread on corn before roasting in husks. 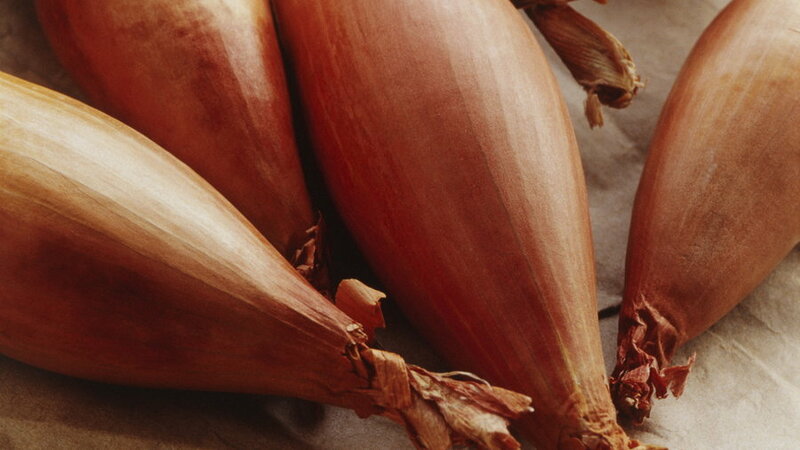 Shallots taste similar to onions, but are much milder and sweeter. Whether raw or cooked, shallots are delicious in dressings, sauces, and relishes. Quick idea No. 1: Roast peeled shallots in foil until soft. Serve with roasted or grilled meats. Quick idea No. 2: Mince raw shallots and add to relishes for sandwiches or burgers. 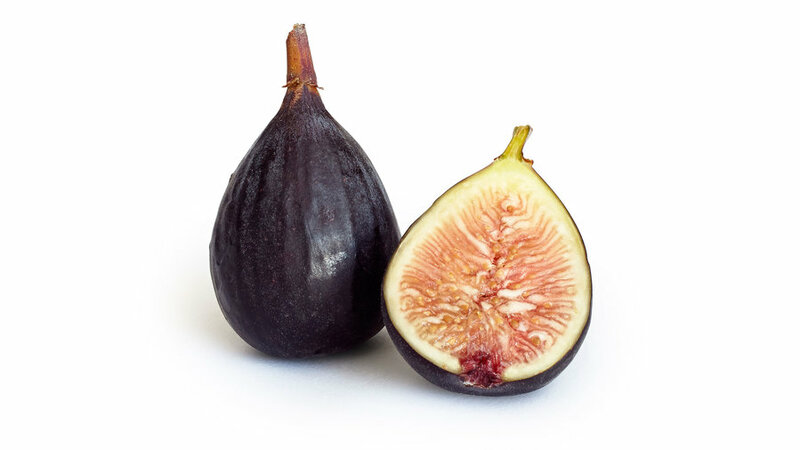 Figs are fleshy and richly sweet, with delicately crunchy seeds encased in tender skin. Quick idea No. 1: Top pizza dough with chopped figs, mascarpone cheese, balsamic vinegar, white truffle oil, and prosciutto. Cook in a hot oven until golden brown. Top with fresh arugula. Quick idea No. 2: Halve figs and top with crisp bacon pieces and shredded Gruyère cheese. Broil until cheese bubbles. Radicchio’s crisp texture and pleasantly bitter flavor is delicious when balanced with sweet and/or creamy ingredients, such as balsamic vinegar, caramelized onions, fresh ricotta, or gruyère cheese. Quick idea No. 1: Toss chopped radicchio with sliced roasted beets and a dressing of minced garlic, red wine vinegar, olive oil, ground pepper, and herbs of your choice. Sprinkle with goat cheese. Quick idea No. 2: Roast halved radicchio with garlic and olive oil and serve with shaved asiago cheese. 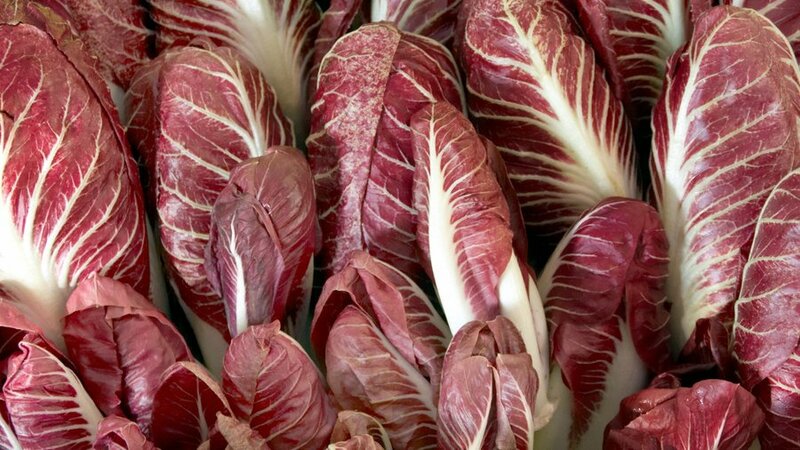 Or chop roasted radicchio and add to pastas or risottos. 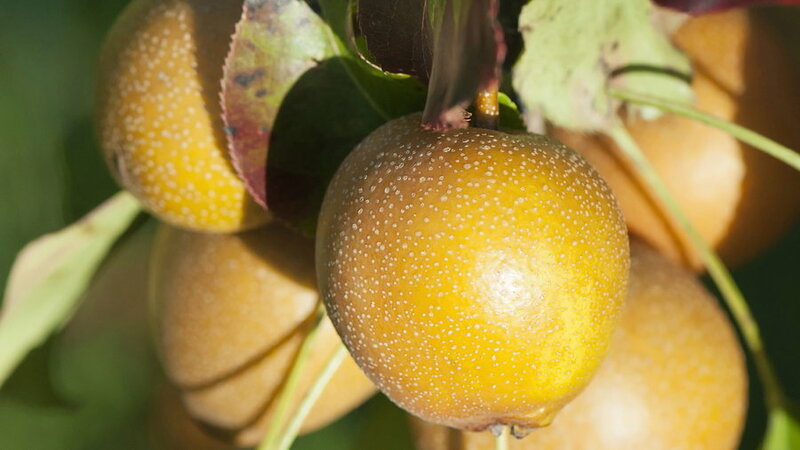 Refreshingly crisp and sweet, Asian pears are delicious on their own or with salty, substantial flavors. Quick idea No. 1: Cube peeled Asian pear and combine with watermelon and/or honeydew cubes. Sprinkle with feta cheese. Quick idea No. 2: Peel and finely chop Asian pear and toss with rice wine vinegar and a pinch of sugar. Spread small toasts with cream cheese and a slice of smoked salmon. Top with Asian pear mixture and a sprig of dill. У нашей фирмы классный интернет-сайт со статьями про https://rbt.com.ua/.